The Brown Bookshelf presented at the Texas Library Association conference. 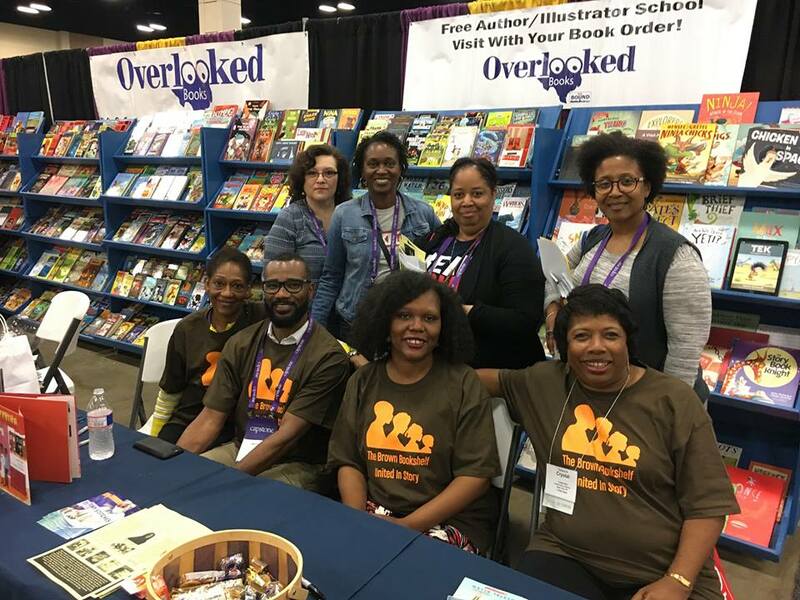 Thank you to the Black Caucus of TLA who sponsored our session, Overlooked Books who hosted our signing and amazing librarians like the ones from Houston in the picture who showed us lots of love. Thank you to everyone who supports the work we do. Completing our 10th 28 Days Later campaign was a special milestone for us. We appreciated the shares, comments and kudos. It’s an honor to raise awareness of the wonderful black children’s book creators that give kids stories that showcase their experiences, history, adventures and dreams. Last month, we took our show on the road, presenting at the Texas Library Association conference. 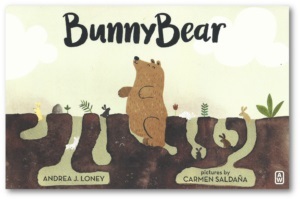 We received such a warm reception from librarians who said they plan to add books by authors and illustrators we highlighted to their collections. In November, we’ll present at the American Association of School Librarians conference in Phoenix. Our mission is to celebrate others, so we don’t often talk about ourselves. But so many exciting things are happening that we wanted to give you a peek into what’s new in our world. We are grateful for the commitment of people like you who help push for change. All kids deserve to see themselves as the stars of stories and as book creators. Special thanks to Nick Glass and Carin Bringelson for helping our work reach more readers and creating such an important resource. TeachingBooks.net has created a list that showcases our 10 years of 28 Days Later features and additional resources they’ve compiled for our honorees. Here’s the full list which is available without subscription to their service this year and will be accessible without subscription every February in perpetuity. In addition, each year they will make a list for our new class of 28 Days Later honorees with links to our spotlights and extra resources which will remain free until the end of that year. Here’s the list for the authors and illustrators celebrated in our 2017 campaign. Want resources for members of our team? TeachingBooks.net has a list for that too. Note: Our 28 Days Later spotlights are always available on our blog. You can use the 28 Days Later tab on our menu bar for links to author and illustrators featured each year or the search box in the right column to find a post about a particular children’s book creator. The Brown Bookshelf will nominate a children’s book author or illustrator for a 2018 Highlights Foundation workshop of the honoree’s choosing. Look for details about this exciting opportunity in the near future. 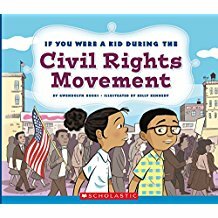 My latest book is If You Were A Kid During The Civil Rights Movement illustrated by Kelly Kennedy (Scholastic Library). Later this spring, Music Time and Block Party will be released by Lee & Low Books. Both are illustrated by Shirley Ng-Benitez and Block Party is a Junior Library Guild Section. Tiny Stitches – The Life of Medical Pioneer Vivien Thomas won the NAACP IMAGE Award for Outstanding Literary Work-Children. Illustrator, Colin Bootman and I are honored to have our collaboration recognized. Now, it’s a new year and I’m re-reading The Brown Bookshelf’s 28 Days Later 2017 campaign for inspiration. Those authors and illustrators inspire me to re-think some projects and move forward on others. A writer’s work is never done! To learn more about Gwendolyn, visit www.gwendolynhooks.com. I’m working on And Two Naomis Too (Balzer and Bray/HarperCollins) with Audrey Vernick, which will be out in 2018. I’ll be appearing at nerdCampNJ in May, the Maplewood-South Orange Book Festival in June, and NCTE in November. This summer, I’ll be working on some new manuscripts; I’m looking forward to participating in Teachers Write again, meeting and working with the new class of WNDB Internship Grant Award recipients, and finishing some languishing craft projects. To learn more about Olugbemisola, visit www.olugbemisolabooks.com. My forthcoming project is a picture book biography about Victorian strongman Eugen Sandow, also known as the “Father of Bodybuilding.” STRONG AS SANDOW: HOW EUGEN SANDOW BECAME THE STRONGEST MAN ON EARTH (Charlesbridge, Aug. 2017). Inspired by my own experiences in the sport of body-building, I tell the story of how Eugen Sandow changed the way people think about exercise and physical fitness. 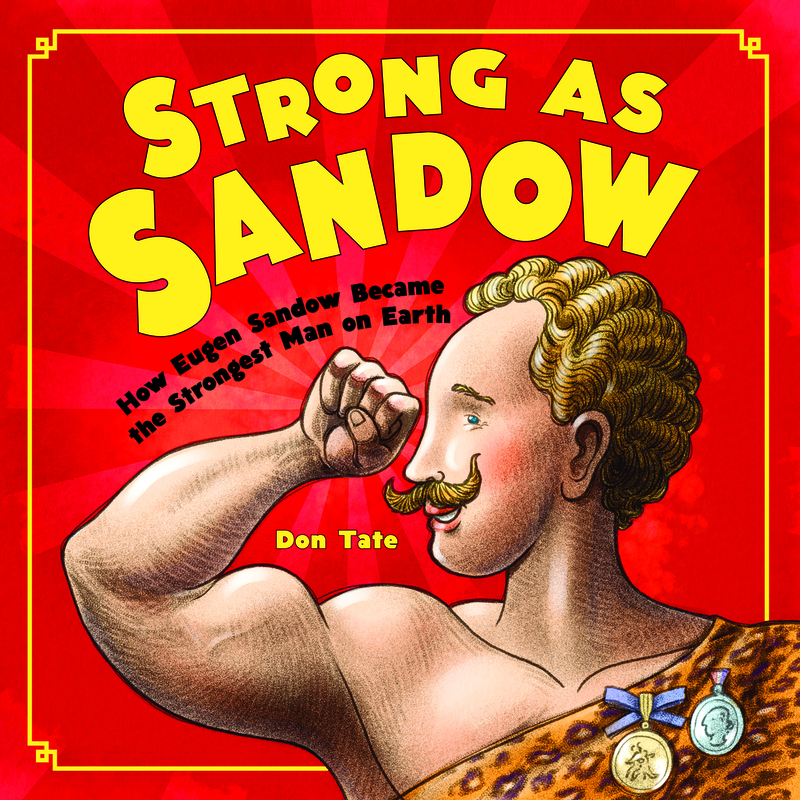 I will be signing STRONG AS SANDOW at BookExpo America on June 2nd, 2017, Booth 2905 from 2:00 to 3pm. WHOOSH! LONNIE JOHNSON’S SUPER-SOAKING STREAM OF INVENTIONS (Charlesbridge, 2016), written by Chris Barton and illustrated by me is a 2017 Children’s and Teen Choice Book Award Finalist. Children’s Choice winners will be announced at BookExpo America, and I will be in attendance to sign books. To learn more about Don, visit www.dontate.com. I had a wonderful time sharing at TLA. In August, I present at the National Conference of African American Librarians in Atlanta. 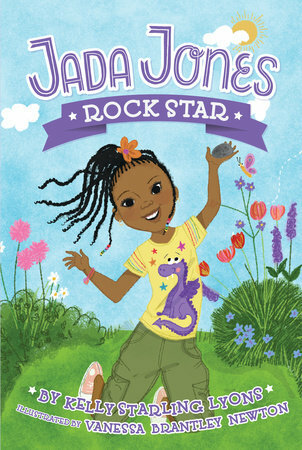 In September, I launch my Jada Jones chapter book series – Jada Jones: Rock Star and Jada Jones: Class Act, published by Penguin Workshop and illustrated by the amazing Vanessa Brantley Newton. We’re having launch parties in Raleigh and Charlotte. Here are Quail Ridge Books party details and Park Road Books party details. We’ll have a virtual launch too so everyone can be part of the fun. One More Dino on the Floor is still grooving strong. 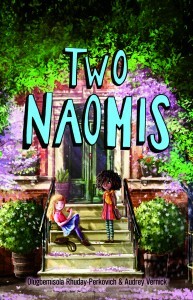 Illustrator Luke Flowers and I were delighted that it was chosen for Scholastic Book Club and called a great readaloud. I’m working on new projects and enjoying meeting amazing kids and educators during author visits. Thank you for supporting my work. To learn more about Kelly, visit www.kellystarlinglyons.com. 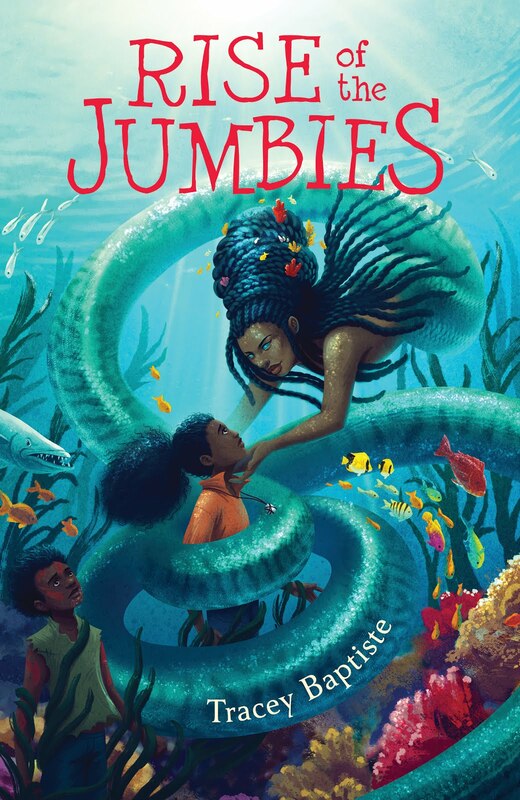 I’m looking forward to the release of The Jumbies sequel, Rise of the Jumbies on September 19th. In the meantime I’m working on two new book projects that have not been announced yet and a group chapter book project with some really awesome authors. I’ve also just sent in a proposal for a new nonfiction history book. Unfortunately it’s the nature of the business that I can’t be specific until all deals are finalized, so I’m going to have to be cagey for a bit! To learn more about Tracey, visit www.traceybaptiste.com. I recently visited Jackson, Mississippi to help promote literacy among boys. With the support of COSEBOC and The Kellogg Foundation, I was joined by fellow authors David Miller, Mark C Booker, Kenneth Braswell and Ronnie Sidney II as we provided 300 eager middle school boys with 900 free books! From there, we spoke to kids at a juvenile detention facility and addressed a crowded room at a family literacy event. It was one of the most powerful trips I’ve even done. I signed 350 copies of my new graphic novel, Mama’s Boyz: In Living Color! To learn more about Jerry, visit www.jerrycraft.net. I have been extremely busy with my new series, The Magnificent Mya Tibbs! Book one The Magnificent Mya Tibbs – Spirit Week Showdown, is on the Texas Bluebonnet list, the Grand Canyon list, Chicago Libraries best books of 2016, and Kirkus’ Best Books of 2016. 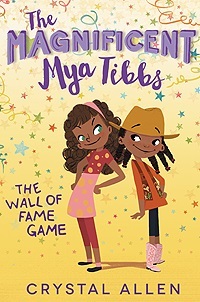 Book two, The Magnificent Mya Tibbs – The Wall of Fame Game, launched in January of this year! I am already scheduling author visits for the next school year, while working on my next novel titled, Between Two Brothers. To learn more about Crystal, visit www.crystalallenbooks.com. This past year has been filled with new literary adventures! In addition to all of the wonderful happenings occuring with BBS in this, our 10th year, I signed on with Gallt & Zacker Literary Agency, to be represented by the fierce Marietta Zacker! Almost immediately, we sold a new picture book to Joy Peskin at FSG/Macmillan (BROWN BABY LULLABY, to published in early 2019 and illustrated by AG Ford), and I finally got to meet Gwendolyn Hooks and Olugbemisola Rhuday-Perkovich in person at ALA! And I’m expecting more good news to break over the coming months. Exclamation points are abounding in my world! To learn more about Tameka, visit www.tamekafryerbrown.com. 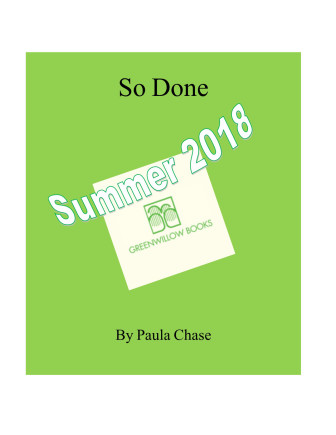 Brown Bookshelf co-founder Paula has a two-book middle-grade deal with Greenwillow Books. Yay! The first is So Done which will debut summer 2018. She wrote this poignant post that gave an update on her writing life. To learn more about Paula, visit www.paulachasehyman.com. 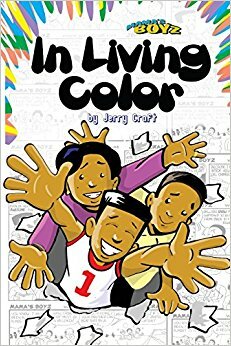 Brown Bookshelf co-founder Varian Johnson’s middle-grade series continue to soar. The first novel in the series, The Great Greene Heist, received two starred reviews and was named an ALA Notable Children’s Book Selection, a Kirkus Reviews Best Book of the Year, and a Texas Library Association Lonestar List selection among other accolades. 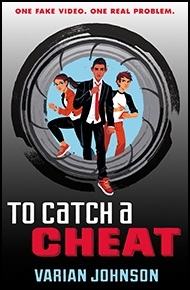 His latest caper, To Catch A Cheat, was released last year. Kirkus praised the novel in a starred review, calling it, “A satisfying stand-alone sequel; new readers and old friends will be hoping for further adventures.” Varian has also written for the Spirit Animals middle-grade fantasy series as well as novels and short stories for YA audiences. To learn more about Varian, visit www.varianjohnson.com. Wow! You guys are one of the few blogging teams to appear places in person, and well done to you for taking your show on the road. You put in such a lot of work for this – it’s appreciated. Ain’t that the truth! It is great to see Blogs like this persist because the massive social media sites, Google, and the Amazon-owned websites make attracting visitors to an indie blog exceedingly difficult.